Complete the Online Volunteer Interest Form and send now! ​The volunteer coordinator will contact you. Hand feed, medicate, care for and treat sick or injured wild birds, clean cages, assist in daily care of Center. Requirements: be reliable, be 18 or older, be a team player, be willing to learn, be willing to get dirty, be able to handle fish, mealworms, and rodents (bird food). 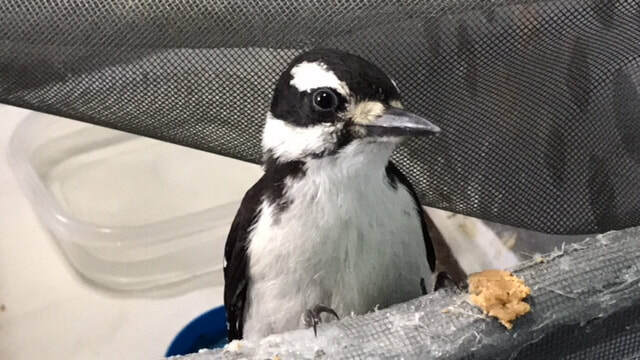 Become an educator for AWBRC working with a non-releasable, program bird (special training required and must have one year of reliable rehab center volunteering). Promote Alaska WildBird Rehabilitation Center. Help organize and set up picnics, education classes, general membership meetings and fundraising events. Write articles and fact sheets for AWBRC publications and Website. Develop AWBRC training manuals and informational booklets. ​Grant writing, donation requests, membership drives and special events. If you have other fund raising ideas, let us hear from you. Help with computer input, organize files, sort pictures and make scrapbooks or presentation packets.